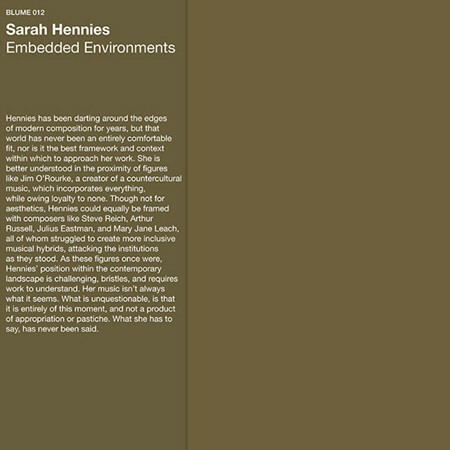 "Through a remarkable and singular body of work, over the course of the last decade, like storm beginning as whisper on the horizon, the composer and percussionist Sarah Hennies has slowly emerged as one of the definitive voices of her generation. Initially coming to focus as a member of Austin’s experimental music scene during the early 2000’s, before relocating to upstate New York, with a delicate, clattering grace, she has continuously offered vision, conceptual armature, crucial understanding for the contemporary proximity of avant-garde and experimental practice. Entirely of her moment, she defies what we know and expect, owing allegiance to none. 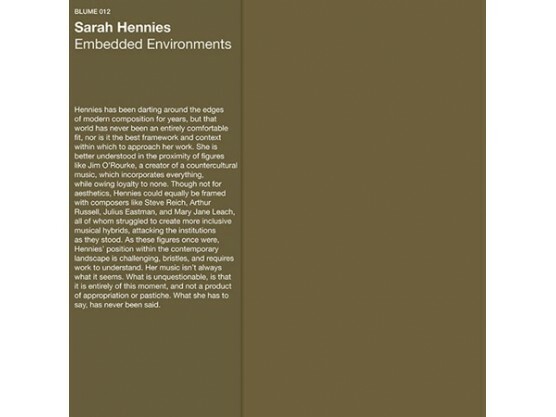 Hennies has been darting around the edges of modern composition for years, but that world has never been an entirely comfortable fit, nor is it the best framework and context within which to approach her work. She is better understood in the proximity of figures like Jim O’Rourke, a creator of a countercultural music, which incorporates everything, while owing loyalty to none. Though not for aesthetics, Hennies could equally be framed with composers like Steve Reich, Arthur Russell, Julius Eastman, and Mary Jane Leach, all of whom struggled to create more inclusive musical hybrids, attacking the institutions as they stood. As these figures once were, Hennies’ position within the contemporary landscape is challenging, bristles, and requires work to understand. Her music isn’t always what it seems. What is unquestionable, is that it is entirely of this moment, and not a product of appropriation or pastiche. What she has to say, has never been said. Comprised of two site specific compositions - Foragers, and Embedded Environments, recorded in a silo in Buffalo, NY, these recordings are a crowing moment within the long arc of Hennies’ practice. Each work is composed for a quartet of percussionists - Jason Bauers, Tim Feeney, and Bob Fullex, with Hennies contributing on vibraphone and percussion. While Foragers, and Embedded Environments are products of Hennies’ quest for elemental meaning and relationships within sound - those which lay beyond traditional understandings of structure, beat, and tone, here there is a third and unfamiliar actor in play, the space itself. 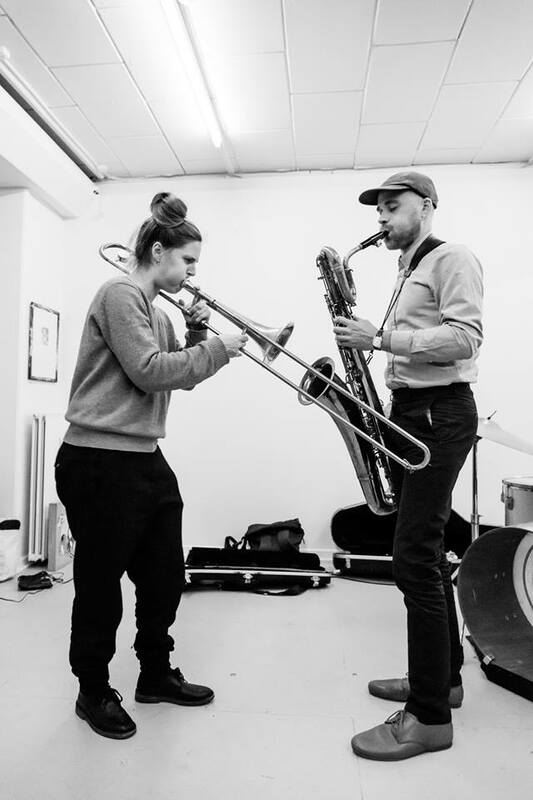 Activated by the silo for which they were composed, Hennies’ broken, staggering rhythms and resonances are offered new freedom through a seductive Trojan horse, pushing them toward even more complex and jarring depths. 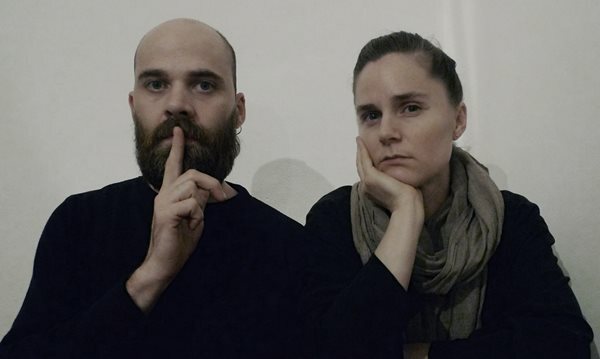 Foragers, and Embedded Environments delves into a realm of ideas, proximity, and place, offering a new vision for our sonic present, and what may be to come. Visionary, challenging, bristling, pared to only the essential beats or tones, this music, while beautiful and elemental, is a product of a rigorous form of conceptualism, often unfamiliar within the world of organised sound."